Judas Iscariot is the most infamous and most perplexing character in religious history. He accepts the offer to follow Jesus, hoping he might be the long-awaited Messiah who will liberate his people from Roman rule. But in the end, his actions seal both their fates. What led Judas to betray his friend and teacher, then fall into complete despair? If Judas’ father was Simon the Pharisee of Bethany, then Judas was likely the cousin of Martha, Mary and Lazarus. A very different picture suddenly emerges of the events in the last weeks of the life of Judas Iscariot. It is a story as tragic as it is compelling. Mark Worthing is an Adelaide-based, award-winning author. His most recent books include Graeme Clark. The Man Who Invented the Bionic Ear (Allen&Unwin, 2015); George MacDonald’s Phantastes, (Stone Table Books, 2016); What the Dog Saw (Morning Star, 2017); Martin Luther. A Wild Boar in the Lord’s Vineyard (Morning Star, 2017); and The Winter Fae. A Fantasy Novella (Stone Table Books, 2018). 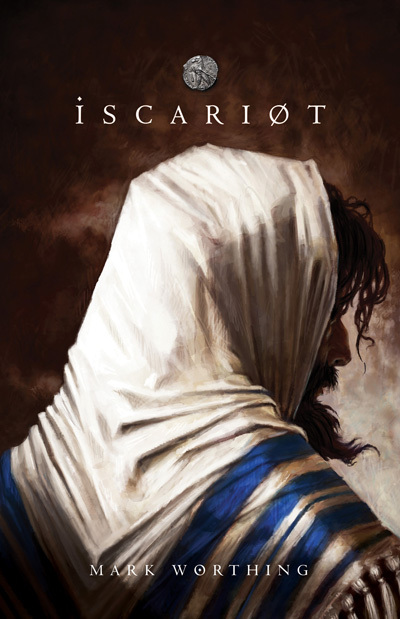 Mark Worthing’s Iscariot delivers an intriguing new perspective on a character whom we all think we know well, but find we don’t really know at all. 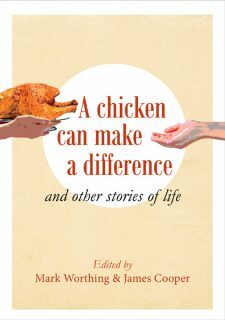 This book does exactly what every good book is meant to do – it makes us think! It takes an imaginative leap to begin to understand the events leading up to, during and after that night in the Upper Room. Worthing makes such a leap with artistic skill and theological sensitivity, bringing to life characters and events that cry out for rediscovery. It never did sit right with me that God would have created Judas only to use him and discard him, consigning him to eternal damnation. This is the first thing I’ve read that casts a different light on Judas that is, in my opinion, not only completely plausible, but long overdue. This book’s a stunner. I loved it. I couldn’t put it down. Very authentic. No cringes. The homes, the relationships, the towns, the temple, the fishing, the jobs … everything. I’ve also written a biblical historical fiction (I Used to be Dead: Tahlia’s story) and I recognise the intense effort Mark has put into producing such a credible rendition of Judas’ journey. Biblical writers and speakers fiddle around with Jesus in this genre, making his beliefs, thoughts and words their own and interpreting him as they would a figure of pure fiction, so when Mark told me he’d written about Judas, I was fascinated because Judas’ story is also Jesus’ story. I didn’t expect Mark would fiddle around and he didn’t. At every place where I felt he could have stumbled into the mire of fantasy, sentimentalism and superficiality he didn’t forget his reformed theology and Biblical roots. Everything he has Jesus (Yeshua) say and do matches orthodoxy. Even when he portrays Jesus laughing, smiling or even cracking a joke he remains elegant and reverent. He even has Jesus being blokey about the young donkey and the feet washing episodes, so close to his own final hours. Everything he fictionalises about Judas is also safe and credible. Mark worked hard to make Judas’ family relationships measure up. He’s made him the classmate we grew up with. Judas has been de-mystified. He is, uncomfortably, more like the everyday reader and less like a sinister misanthrope. The book is so convincing I had to remind myself quite a few times that I wasn’t reading a fifth Gospel. But the real test is: Did feel I could sit around the supper table with Judas and Jesus? Did I feel as though I’d be included in their laughter? Did I wish I had been on the walking trails, in the crowds, sitting by the fires, prattling on with the Maker of Heaven and earth? Yes. Mark took me there. But he didn’t dilly dally. I knew that sooner or later Judas, the enthusiastic believer, would become Judas the ignominious betrayer. But Mark kept me guessing about what the turning point would be. More importantly, did what troubled Judas about Yeshua make me feel as though I might have been dumb enough to betray Jesus too? Yes. That was what disturbed me. Can we put ourselves in the shoes of Judas? Are they shoes we’d want to wear? Would they fit? Imagine you are a follower of Jesus 2000 years ago. You love him – you call him Yeshua; you know he’s the Messiah. You’ve seen the miracles first hand. You single-mindedly hate the Romans and how they subject your people. You are strong, zealous, favoured, educated, well off, a Pharisee. You’ll fight when the time is right. And you’re sure that time is coming. You can see the signs. The Teacher is amassing huge crowds of people. He only has to say the word and they’d take up arms. But time is running out to strike – it’s not working the way you can see it should be working. Yeshua doesn’t seem interested at the moment in raising an army. The time is now! He talks about spiritual things a lot – dying and rising – spiritual stuff – we need action for the Kingdom to work. He’d have to meet with the priests first to get them onside. They’re waiting for the true Messiah to bring in his kingdom too. But of course they’re sceptical – all the messiahs so far just caused a lot of trouble for everyone. They don’t want another civil war. But you know the Teacher is the real deal. Judas has always had bad press. Dante put him in the lowest ring of Hell. Was he as bad as they say? As a child I knew Judas was a betrayer, a thief even, but as I got older I came to understand that his story was a tragedy. Did misunderstandings lead him to act the way he did? It’s easy to imagine he had his own agenda, that he didn’t love Jesus. But what if he did? Writing biblical historical fiction is difficult. How much to surmise, how close to the truth must it be, there are so many gaps. How many can I fill? 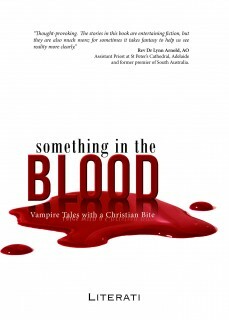 And so we write a story, like Jesus’ stories – stories to inspire and provoke thought. Fiction isn’t exactly how an event may have happened, but it could have happened that way. Some say we should only read the Bible, not fiction about it – we may get wrong ideas. However, a trustworthy biblical novel takes the scripture and brings it to life with the day-to -day details that are not included in the Biblical text. My husband and I enjoy Biblical fiction as a way to learn truth, to understand the culture and a situation better and what might have been going on behind the scenes. It also makes you read the Bible. Reading the Bible is like looking through a camera lens – you can only see that character and event in just a few sentences. Reading Biblical historical fiction is like having a wide lens, a panoramic view even. But writing it involves a lot of research into the history of the time – how people spoke, ate, what they wore, the politics, their history. Human nature hasn’t changed so much: people still get happy, angry and misunderstand each other. Biblical characters make big mistakes; the Bible isn’t silent on that. Writers keep the spiritual account as a plumbline and I can see Mark Worthing has done this in Iscariot. But the parts that come from the writer’s imagination is the fiction. Iscariot, like all good biblical historical fiction, helps with our understanding of the period, of why a character like Judas may have acted the way he did. We don’t have to agree with everything we read but a good book will be provocative, offering a view to consider while giving more insight into the time, the life of people and the motivations of characters. There might not be a happy ending in biblical history – the truth can’t be changed. Real life can leave us sadder, wiser, but there is always hope. The human spirit resonates with story – it’s how Jesus taught his followers – through story ̶ to drive home spiritual truth. There have been some novels written about Judas. The most notable to this date perhaps is Taylor Caldwell’s I, Judas (1977). This doesn’t show as much of the interaction between Judas and Jesus as Iscariot does. Mark shows the human side of his characters, the awe of Jesus’ ministry, the tragedy of Judas’ choices. With Mark Worthing’s expert writing style you won’t want to put this down until you’ve finished, to see what his conclusions are. There are surprises, some things that might make you frown and think, but isn’t that the job of good literature? In this work of fiction Judas is complicated and certainly doesn’t do it for the silver. Mark carefully and brilliantly brings out the motivations of Judas. He was a Pharisee, educated, a Judean, different from the other disciples. But I don’t think Jesus needed him to turn him in. Nor does Iscariot suggest that, as some others have. If we learn anything from Judas’ life it’s that we can’t force God to do what we want. This is a thought-provoking book which will trigger debate and might turn some readers’ beliefs on their head, all without losing the central truth of Jesus’ mission on earth.